Marketing and Sales Strategist – Generating Attention and Growing Business in a Real-Time World. 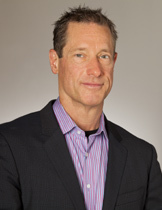 David Meerman Scott is a globalist with real world experience and an eye for the bigger marketplace. He moved to Tokyo at age 26 to establish the Japan office of a Wall Street Real-Time economic advisory firm. He worked for global Real-Time media companies in Tokyo for seven years and Hong Kong for two. David was Asia marketing director for Knight Ridder in the mid 1990s before moving to the Boston area where he was marketing VP for two publicly-traded U.S. companies, most recently at NewsEdge until he was fired shortly after it was sold to Thomson, delivering to him the gift of reinvention as a strategist advising organizations on the new realities of agile, Real-Time business. In addition to writing, researching and speaking, Scott is currently an advisor to emerging companies who are working to transform their industries by delivering disruptive products and services. Besides delivering success as a member of the board of directors of NewsWatch KK (successfully sold to Yahoo Japan) and Kadient (successfully merged with Sant) and on the board of advisors of Eloqua (successful IPO in mid-2012 and sale to Oracle in early 2013), his current portfolio of advisory clients includes HubSpot (where he serves as Marketer in Residence), Libboo, GrabCAD, VisibleGains, ExpertFile, and GutCheck as well as non-profits including the Grateful Dead Archive at University of California/Santa Cruz, and HeadCount. The full-day Social Media Marketing Masterclass teaches marketers how to harness the power of online marketing using blogs, viral marketing, podcasts, online video, search engine marketing and online thought-leadership. You will also learn how to reach your audiences instantly with real-time marketing strategies as well as how to create the compelling information that people are eager to share. Learn why marketing on the web is different. Rather than following the old rules of command-and-control, message-driven advertising and PR, speak directly to your customers and buyers with targeted messages that help them solve problems instead of bombarding them with advertising they'll likely ignore. In the Social Media Marketing Masterclass, learn a step-by-step framework for building an online marketing strategy and a tactical, actionable plan to reach your buyers directly. The Social Media Marketing Masterclass is based on three of David's most popular books: 1) The award-winning, BusinessWeek best-selling book, The New Rules of Marketing & PR published in 25 languages from Bulgarian to Vietnamese 2) World Wide Rave: Creating Triggers that Get Millions of People to Spread Your Ideas and Share Your Stories 3) Real-Time Marketing and PR: How to Instantly Engage your Market, Connect with Customers, and Create Products that Grow Your Business Now In the Social Media Marketing Masterclass, David will show you with many examples how to reach your audience directly. What every business can learn from the most iconic band in history. The Grateful Dead broke almost every rule in the music industry book. They encouraged their fans to record shows and trade tapes; they built a mailing list and sold concert tickets directly to fans; and they built their business model on live concerts, not album sales. Learn key innovations from the Dead's approach you can apply to your business. Find out how to make your fans equal partners in your journey, "lose control" to win, create passionate loyalty, and experience the kind of marketing gains that will not fade away. Size and scale are no longer a decisive advantage. What counts today is speed and agility.. While your competitors scramble to adjust, you can seize the initiative, open new channels, and grow your brand. Learn how to how to instantly engage your market, connect with customers in real-time, and create the products and services that grow business right now. The web has profoundly changed the rules. Smart marketers now communicate with buyers through content-rich Web sites, blogs, YouTube videos, e-books, and other online media that buyers actually want to consume and are eager to share. Filled with dozens of case studies and real-world examples, this a practical discussion about the new reality of PR and marketing. A World Wide Rave! What the heck is that? A World Wide Rave is when people around the world are talking about you, your company, and your products. It's when communities eagerly link to your stuff on the Web. It's when online buzz drives buyers to your virtual doorstep. It's when tons of fans visit your Web site and your blog because they genuinely want to be there. Rules of the Rave: * Nobody cares about your products (except you). * No coercion required. * Lose control. * Put down roots. * Point the world to your (virtual) doorstep. You can trigger a World Wide Rave: Just create something valuable that people want to share and make it easy for them to do so. What happens when people can't stop talking online about you, your company, and your products? A World Wide Rave is born that can propel a brand or company to seemingly instant fame and fortune. How do you create one? By learning the secret to getting links, YouTube, Facebook, and blog buzz to drive eager buyers to your virtual doorstep. For free. In World Wide Rave, David Meerman Scott, author of the award-winning hit book The New Rules of Marketing and PR, reveals the most exciting and powerful ways to build a giant audience from scratch. The Grateful Dead broke almost every rule in the music industry book. They encouraged their fans to record shows and trade tapes; they built a mailing list and sold concert tickets directly to fans; and they built their business model on live concerts, not album sales. By cultivating a dedicated, active community, collaborating with their audience to co-create the Deadhead lifestyle, and giving away "freemium" content, the Dead pioneered many social media and inbound marketing concepts successfully used by businesses across all industries today. Written by marketing gurus and lifelong Deadheads David Meerman Scott and Brian Halligan, Marketing Lessons from the Grateful Dead gives you key innovations from the Dead's approach you can apply to your business. Find out how to make your fans equal partners in your journey, "lose control" to win, create passionate loyalty, and experience the kind of marketing gains that will not fade away! Wake up, it's revolution time! Gone are the days when you could plan out your marketing and public relations programs well in advance and release them on your timetable. It's a real-time world now, and if you're not engaged, then you’re on your way to marketplace irrelevance. "Real time" means news breaks over minutes, not days. It means ideas percolate, then suddenly and unpredictably go viral to a global audience. It’s when companies develop (or refine) products or services instantly, based on feedback from customers or events in the marketplace. And it's when businesses see an opportunity and are the first to act on it. Caught up in old, time-consuming processes, too many companies leave themselves fatally exposed by flying blind through this new media environment. You don't have to be among them. Discover Real-Time Marketing and PR and get a clear path to navigate and succeed in the changed business landscape. In this eye-opening follow-up to The New Rules of Marketing and PR, a BusinessWeek bestseller,David Meerman Scott reveals the proven, practical steps to take your business into the real-time era. Find out how to act and react flexibly as events occur, position your brand in the always-on world of the Web, and avoid embarrassing mistakes and missteps. Real-Time Marketing and PR will also enable you to: * Develop a business culture that encourages speed over sloth * Read buying signals as people interact with your online information * Crowdsource product development, naming, and even marketing materials such as online videos * Engage reporters to shape stories as they are being written * Command premium prices by delivering products at speed * Deploy technology to listen in on millions of online discussions and instantly engage with customers and buyers Scale and media buying power are no longer a decisive advantage. What counts today is speed and agility. While your competitors scramble to adjust, you can seize the initiative, open new channels, and grow your brand. Master Real-Time Marketing and PR today and become the first to act, the first to respond, and the first to win! For marketers, The New Rules of Marketing and PR shows you how to leverage the potential that Web-based communication offers your business. Finally, you can speak directly to customers and buyers, establishing a personal link with the people who make your business work. This one-of-a-kind guide includes a step-by-step action plan for harnessing the power of the Internet to create compelling messages, get them in front of customers, and lead those customers into the buying process. Sales and service are being radically redefined like never before. With buyers now in possession of unlimited information, online content is quickly becoming the dominant driver for commerce. Today anyone working in sales or customer service needs to possess entirely new skills. Unfortunately most organizations are still using traditional selling and service models developed for a different time. In this new book by the author of the #1 bestseller The New Rules of Marketing & PR, David Meerman Scott demystifies the new digital commercial landscape and offers inspiring and valuable guidance for anyone not wanting to be left behind.